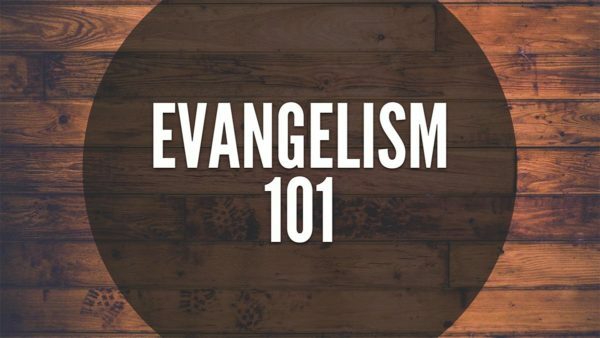 Written by Christian evangelist, Scott Bunce, Evangelism 101 offers audiences a compelling primer on how to spread the Gospel and advance the Kingdom on Earth. Cost: FREE. This original content is free to use or repurpose as your own. In these scriptures, we see God calls us to be a light unto this world and bring salvation to all. As lights of the world, we are to be visibly standing out; not hiding our light, but displaying our life in Jesus before men. Through the cross, Jesus Christ triumphed over sin, death and the grave and was given all power and authority over heaven and earth. He commands us to make disciples (which means “disciplined one under the Lordship of Christ,”) baptizing them in the names of the triune God; the Father, the Son and the Holy Spirit. We are to obey all that Jesus commanded us. He tell us He is with us always–even to the end of time–as we take on His mission. There will be a noticeable presence as we become His message. As I have gone out putting aside the world, family and all unnecessary things, I truly find Christ’s presence becomes a reality. I come alive. I am changed by obedience to the Truth. It happens every year. 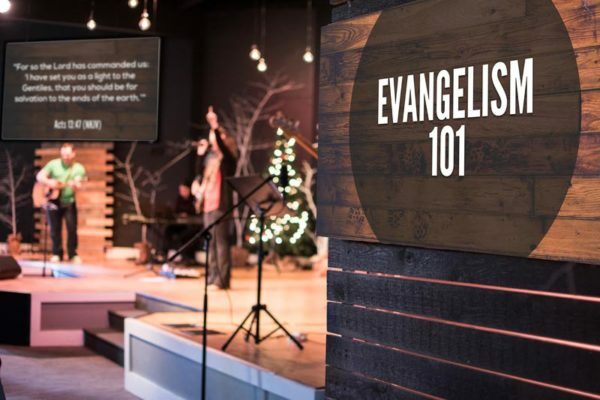 During evangelizing, we have seen miracles of healing! Once we prayed with a mentally-challenged individual and we witnessed his speech become clearer. With each prayer, his speech became better until the third time, whereby he finally communicated clearly with us. It was prayers for healing of his mind. I’m still amazed and this event took place about 10 years ago. One year, on the last night of Lansing’s Common Ground music festival, it was slow for me. I had not seen the salvation of souls I had seen in earlier days. I walked over to the fire department and there I led 10 people to the Lord that night. I’m still in awe of God’s grace to be a part of leading that many people in a night. I’ve also seen storms be held back by prayer in Jesus’ name. The guy with the 666 tattoo. Tract: Are You a True Atheist? Bottle breaking with glass shattering around us as we witnessed to a man in a car. A person shooting a BB gun struck a passerby. I was told by the person shot the shooter was aiming for me. 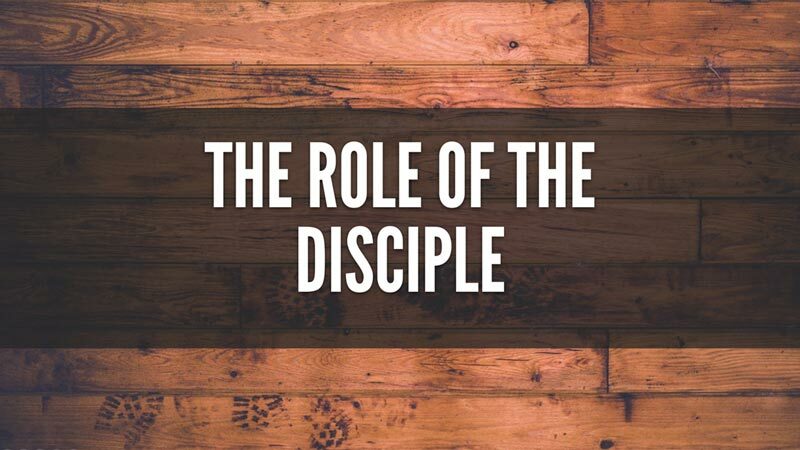 Our life works: What you do for a living, how you do your job, and how your family operates if under the headship of Christ. 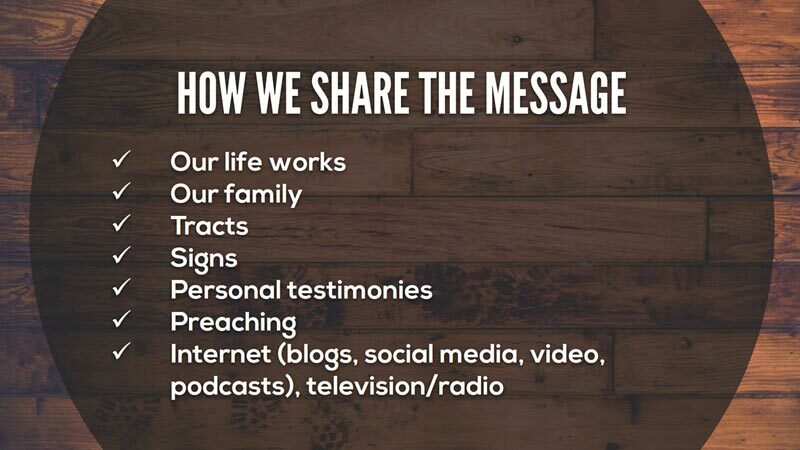 Our family: Does your family show Jesus’ love by loving one another, loving others and obey Jesus’ commands? Tracts: Different tracts are written for different individuals, with each giving the Gospel message of salvation. Personal testimonies: How you were saved; your personal story. Preaching the message of salvation from the pulpit. Internet (blogs, social media, video, podcasts), television/radio. All methods are open game for sharing the Gospel but take caution; be a wise as a serpent, gentle as a dove. You care about them so get to know the person. Ask them questions about themselves. (“What do you do for a living?” Other popular topics include hobbies, sports, family, weather, news, etc.) Let them talk while you be quick to listen. If you were to die right now would you go to heaven or hell? Do you believe that you are a good person? Luke 13:3 – I tell you, no; but unless you repent you will all likewise perish. James 2:10 – For whoever shall keep the whole law, and yet stumble in one point, he is guilty of all. Do you want Jesus’ forgiveness? Are you willing to surrender to Jesus? Are you ready right now to receive your forgiveness and let him live in your heart and life? Jesus, I am a sinner. I cannot save myself. I need you to save me Jesus. Come into my heart and my life; be My Lord and My Savior. I believed you died for my sin and rose from the dead after three days. I now give you all the rest of my days. Thank you for saving me. In Jesus name. Amen. Disclaimer: The Salvation Prayer (a.k.a. 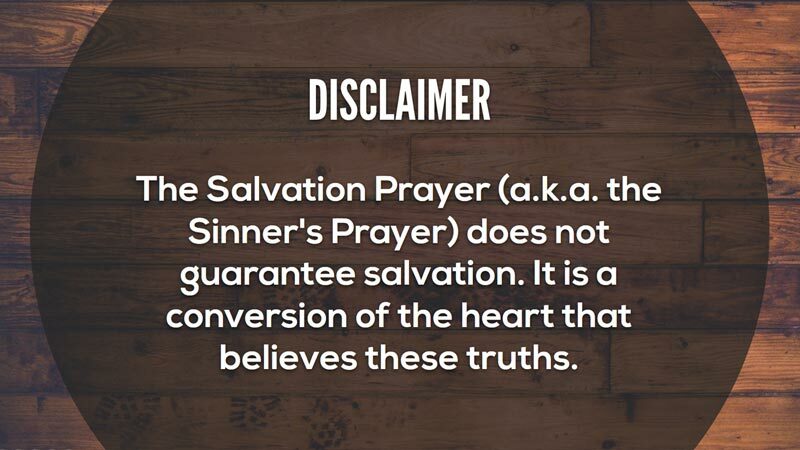 the Sinner’s Prayer) does not guarantee salvation. It is a conversion of the heart that believes these truths. 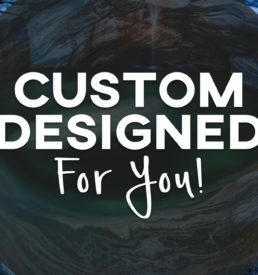 Are you bringing people out of the ocean of sin and death or are you enjoying the salvation of the ship’s preachers, Bible studies, worship music, serving the church, jobs, and the life of being on the boat to heaven. You could be the 90% that didn’t look out into the ocean to see the people drowning. As most of are just taking care of our family in the boat, there is a responsibility to look out and bring others into the boat. Can we be the 10% that are making life preservers, ropes and ladders so others can climb into the boat. Which one are you? Today, let us join the 10%. We all face rejection, but Jesus said, “But whoever denies Me before men, I will also deny him before My Father who is in Heaven.” (Matthew 10:33) So we must choose who we fear more? As with football, once I got that first hit of the game, I became relaxed and became ready to play. It’s the same after we open our mouths to speak; God will fill you with His Words. Jesus taught hate? He rejects homosexuals from His Kingdom? God defines sin and puts everyone under the law as the high standard. If we have looked with lust, this makes us sexually immoral so every sinner needs forgiveness despite how he has sinned. I don’t believe in God. Then you believe nothing created everything and we have no real purpose or identity? Zero multiplied by any number is always zero. Looking at design of atom the inner universe and outer universe show similar design. The ecological system not a design? Different religions. The basic difference between Christianity and all other religions is that, in the false religions, they are trying to appease or reach God by their works. In the Truth (Christianity), God comes to man and does all the righteous requirements by fullfilling the law and then pays for all that each man had done wrong by dying in their place. After death, He conquered the grave by rising from the dead, to die no more and make the only way for eternal life. It is by grace that a man is saved. Grace is unmerited favor and God’s saving through faith (trusting in what Jesus did for us.) No work of man can save for all have sinned. Why salvation today? Some will hear the facts of the Christian faith but say, “I want to think about it,” or “I will wait until I am older.” Today is the day of salvation. If someone hears His voice through what you have said to them, then they must know that tomorrow is not promised to anyone. They must know that God can fade from their conscience and that they are responsible for what they have heard. Tell them to not delay. The bridge to eternal life is open for all but you will not always stand on it. Love the people, show love, speak the truth in love.